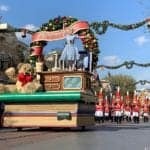 Sharing The Best Christmas Treats at Disneyland Park! 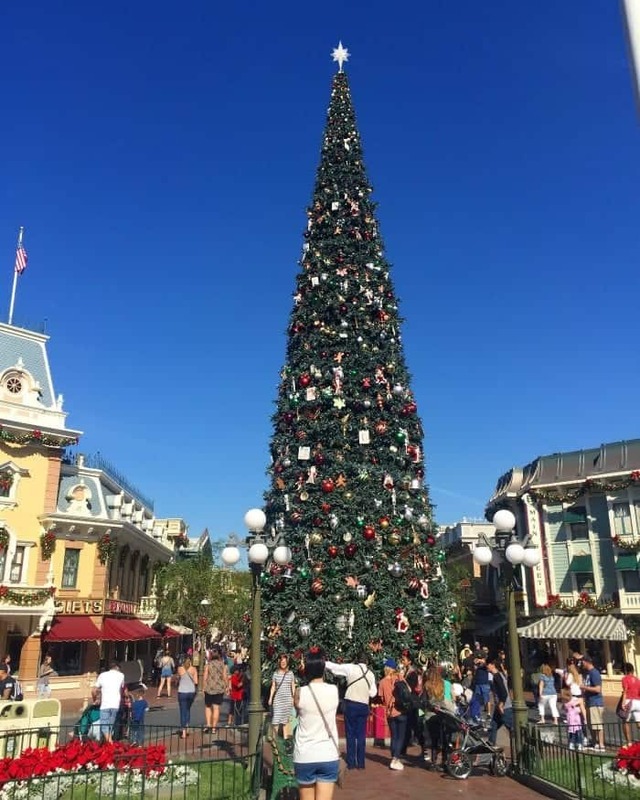 It’s no secret visiting Disneyland during Christmas is about one of the best things ever! 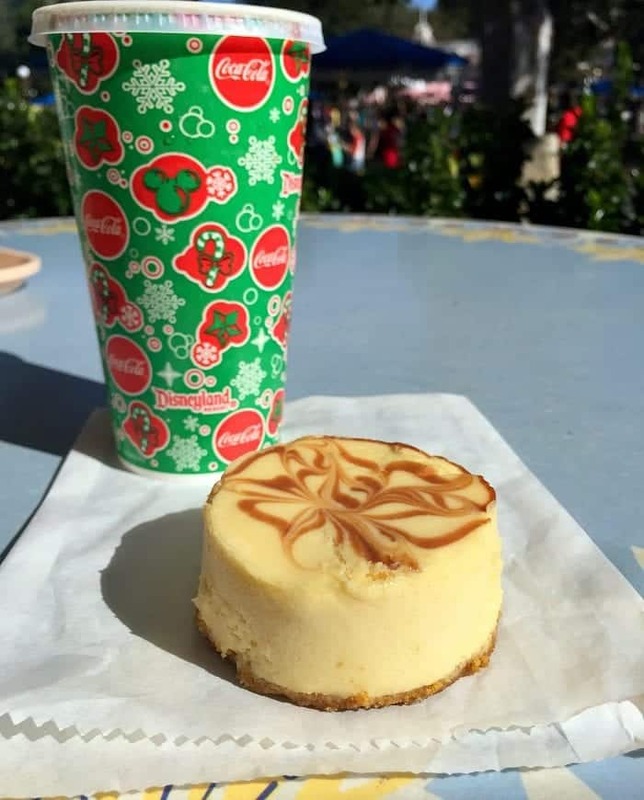 Not only is is absolutely stunning with it’s festive decorations, there are so many great food choices to enjoy! Note, these Christmas treats are available now, November 10th -Jan 8th 2017. 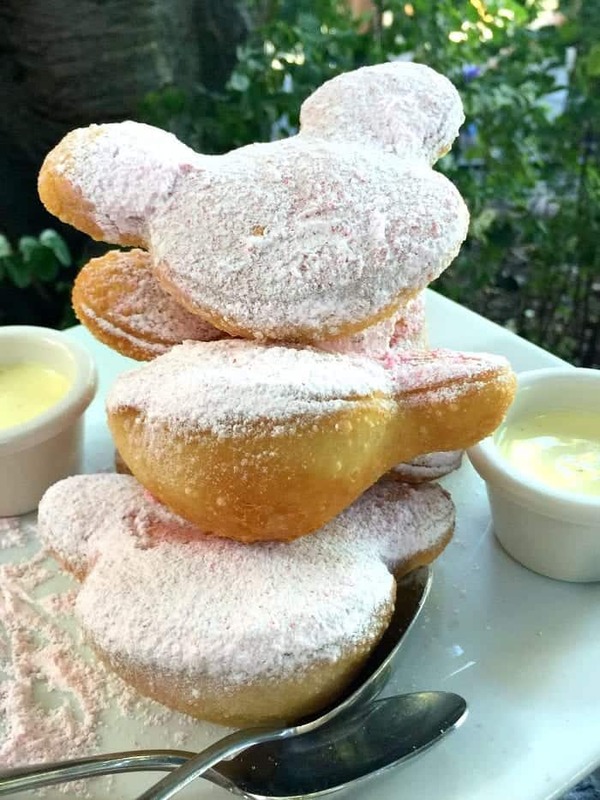 Top on my list is definitely the Candy Cane Beignets! 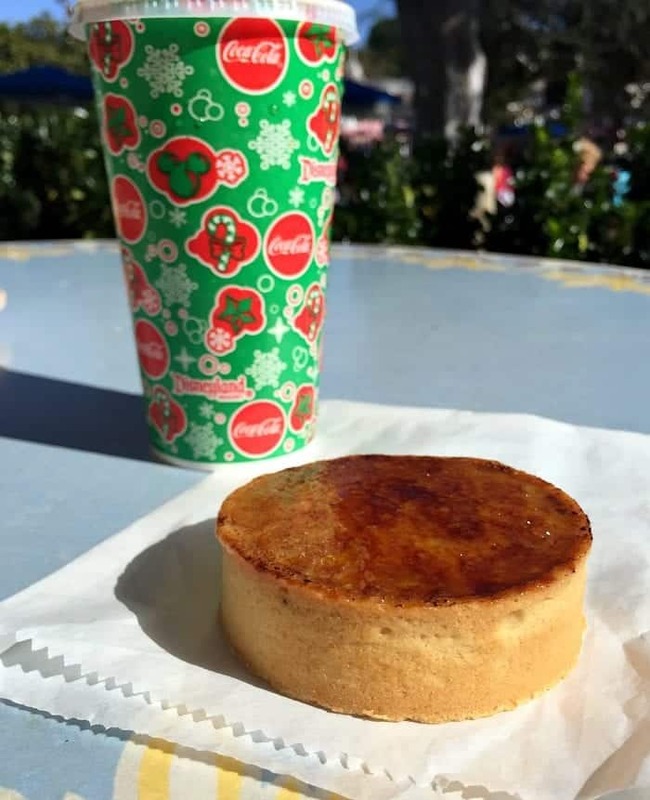 I highly recommend enjoying these at Cafe Orleans, they serve them stacked warm with sides of a vanilla dipping sauce! 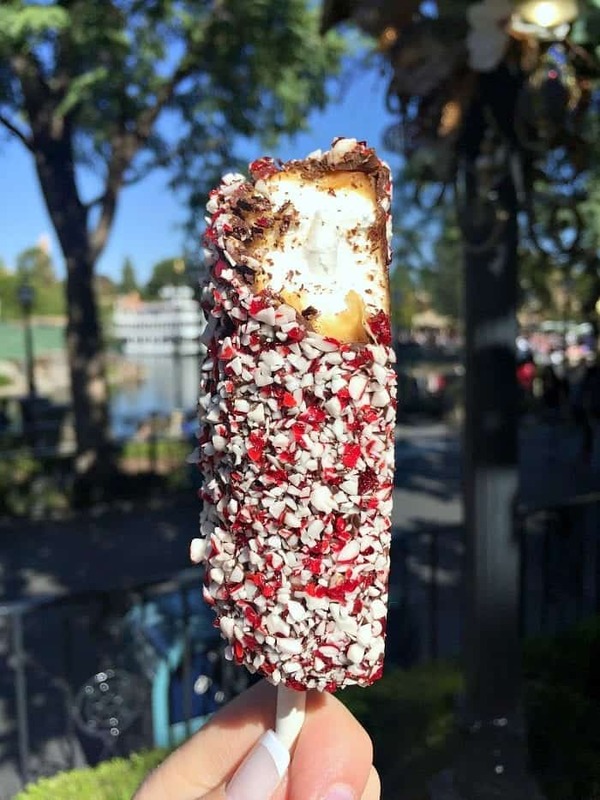 If you can’t get reservations or plan in advance, you can get them “to go” style at Mint Julep Bar, French Market Restaurant and Ralph Brennan’s Jazz Kitchen in Downtown Disney District! 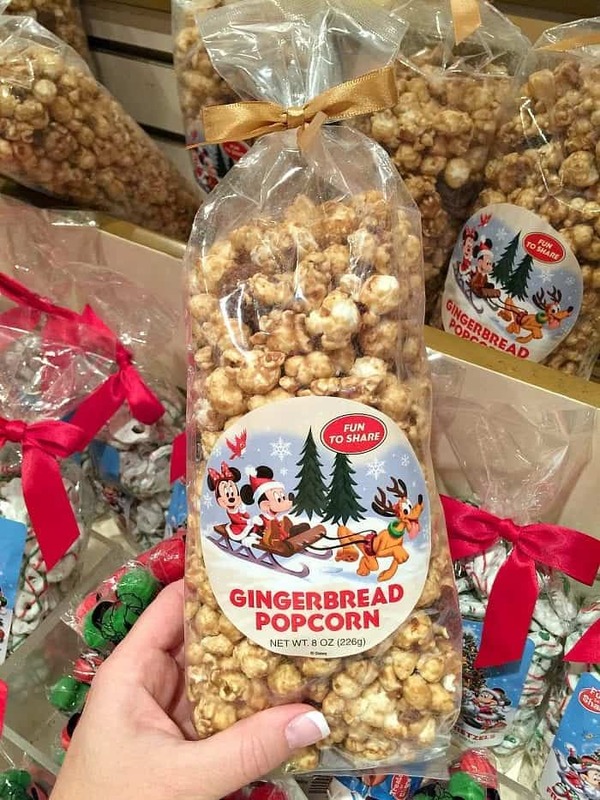 Gingerbread Popcorn!! I mean, come on. I am love with the handful of popcorn flavors available in the many gift shops around the park. Such a great souvenir to bring home. 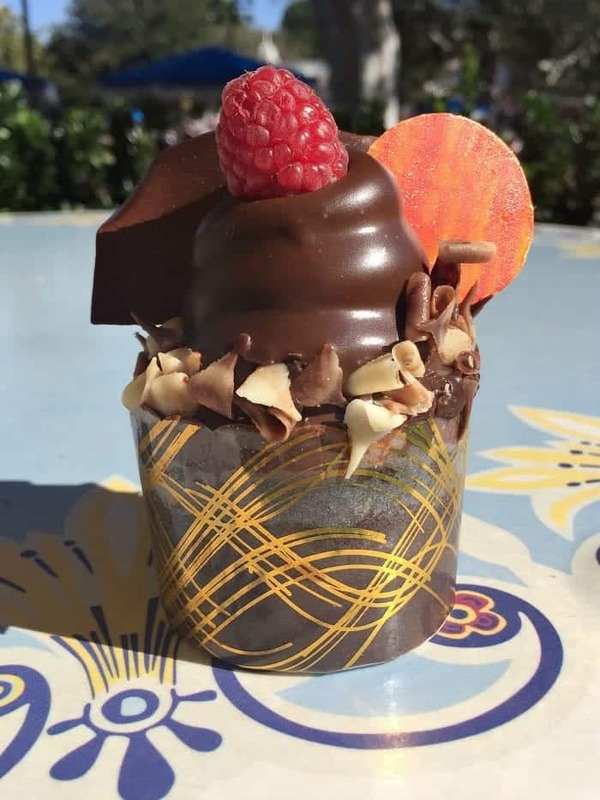 The Holiday Cupcake from Jolly Holiday is gorgeous and delicious! It’s got a chocolate mousse filling, plus soft cake inside….two thumbs up! 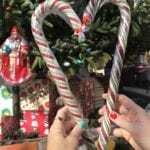 The Candy Cane Marshmallow Stick was great! There’s a layer of chocolate and caramel inside too. Mmmm! 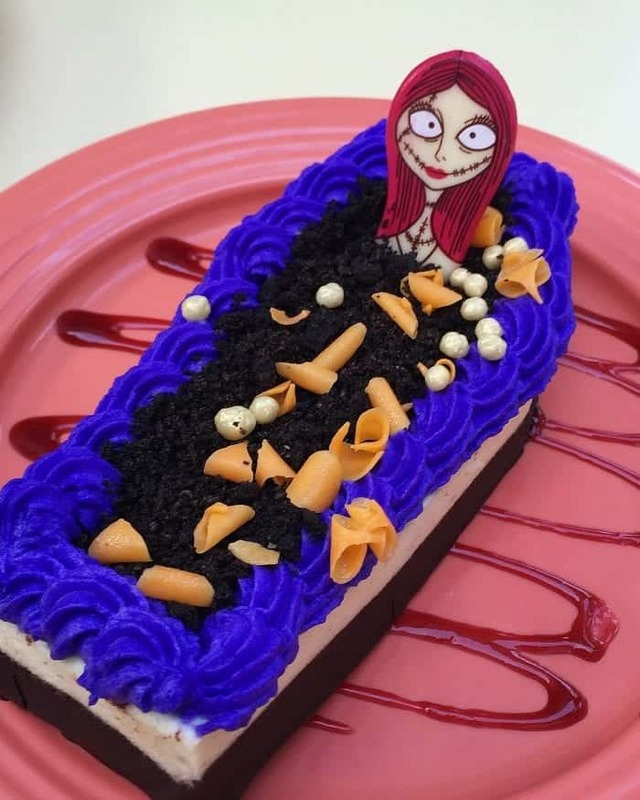 French Market Restaurant still has Sally’s Cookies and Cream Mousse Coffin Cake. We enjoyed it over Halloween Time and devoured it. Really good! This is the Pumpkin Creme Brûlée at Holly Holiday Bakery Cafe. I always have to try the new seasonal flavors. While this wasn’t my favorite of the bunch, still good! 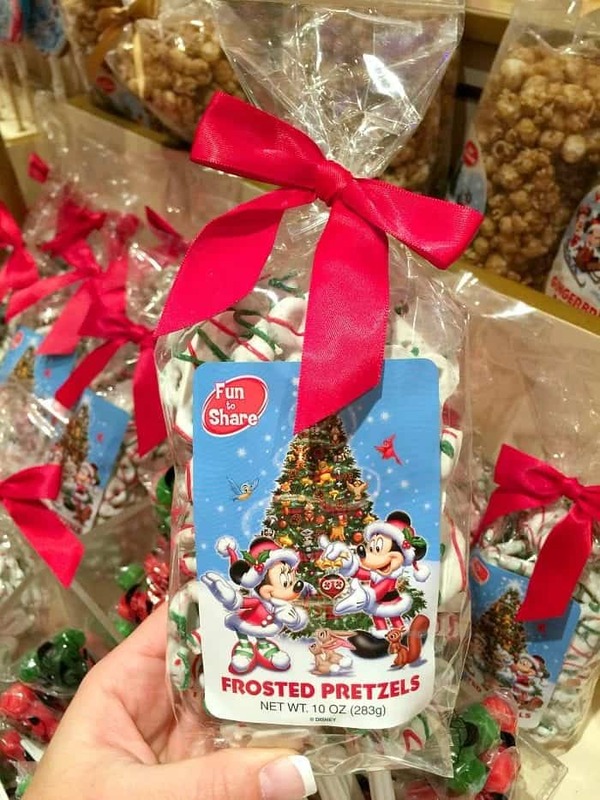 The Frosted Pretzels are super cute, make a fun snack and awesome souvenir as well! The Crispy Treats are on point this year! Cutest little Santa hats. 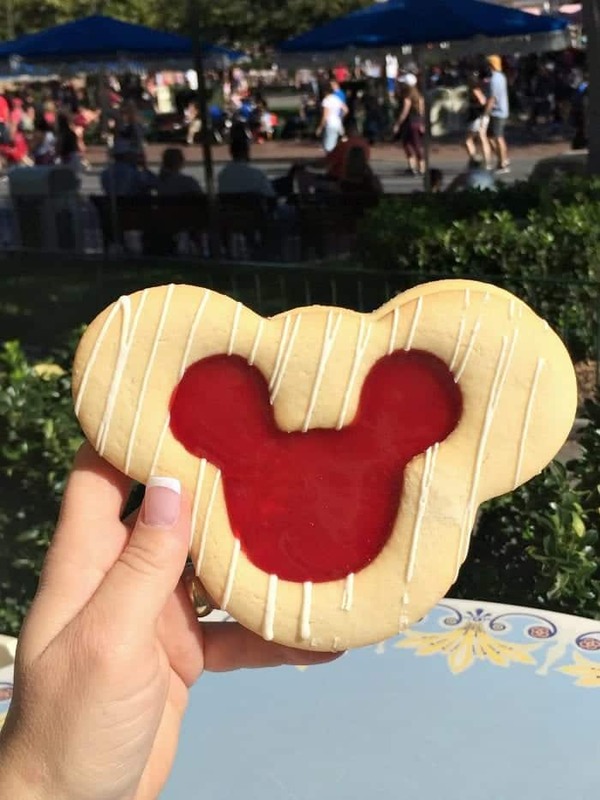 Find these at the bakeries around the parks such as Candy Palace on Main Street U.S.A. and Pooh Corner in Critter Country! 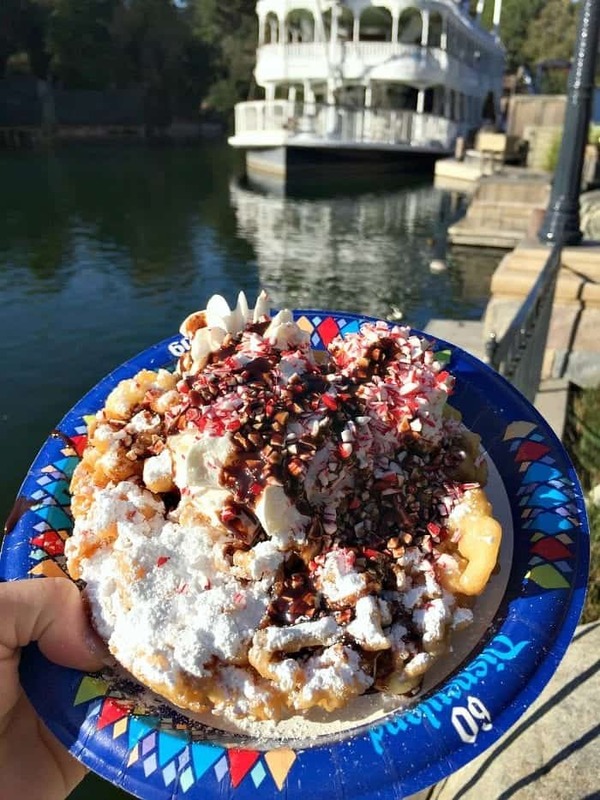 You can also get the Chocolate Peppermint Funnel Cake from Stagedoor Cafe in Frontierland. Topped with powdered sugar, chocolate, candy cane bits and whipped cream. This baby is meant for sharing! This was not our favorite of the bunch, however funnel cake lovers will appreciate it! 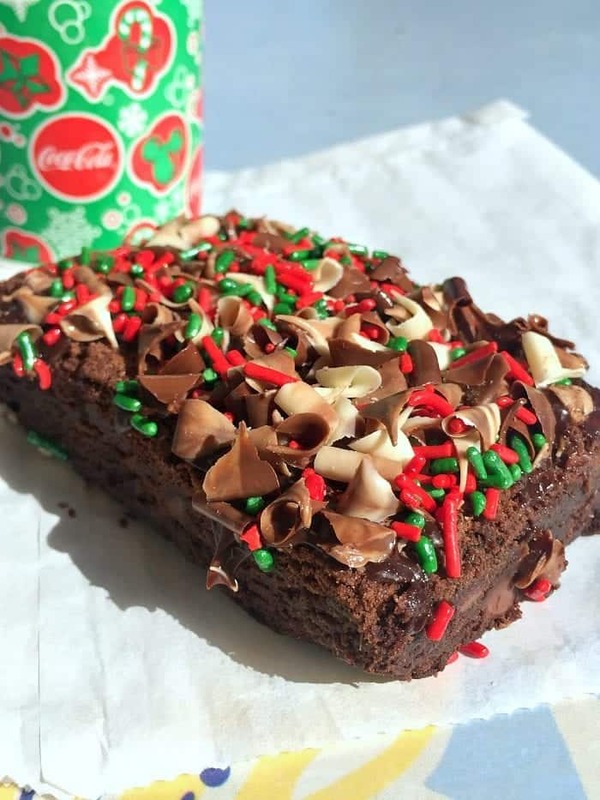 The Holiday Brownie from The Market House (Starbucks) on Main Street U.S.A. is festive and chocolaty delicious! 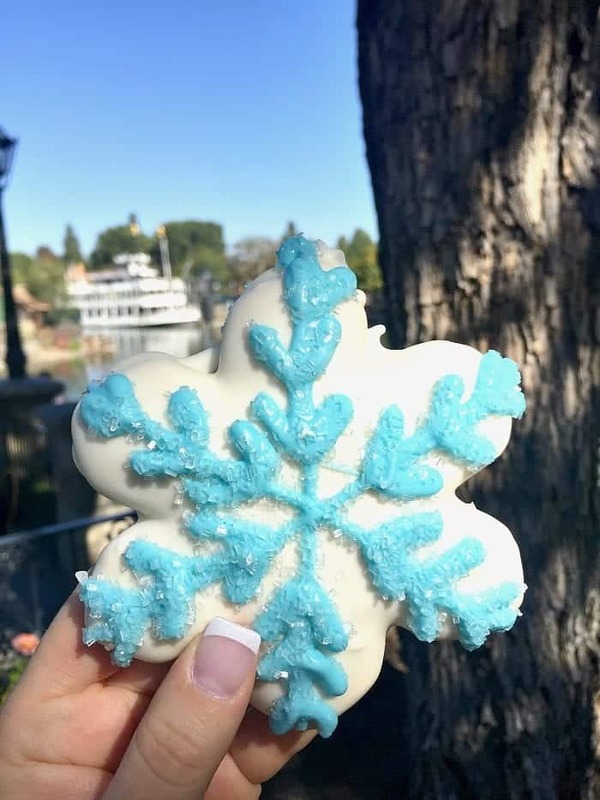 How cute is this Snowflake sugar cookie from Main Street U.S.A.’s Candy Palace? Love it! This Banana Foster Cheesecake from Jolly Holiday Bakery Cafe isn’t much of a looker, but my husband and I both agreed it was fantastic!! 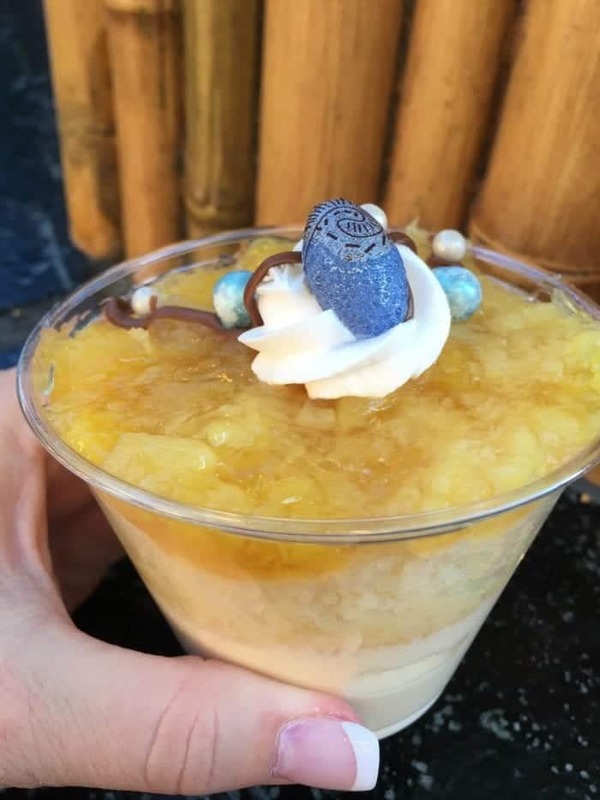 Bengal BBQ has this Moana movie inspired dessert called Pineapple Parfait…layered pineapple whip mousse, vanilla cake and pineapple topped with whipped cream and a chocolate Heart of Tefiti Pendant! How adorable. It was delicious too. 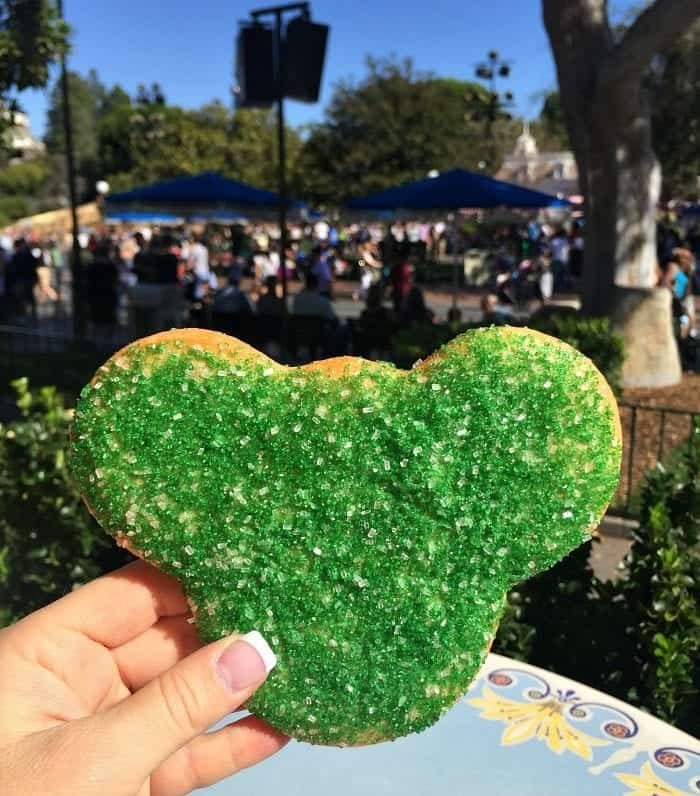 This Green Sugar Sprinkled Mickey Sugar Cookie is picture perfect! 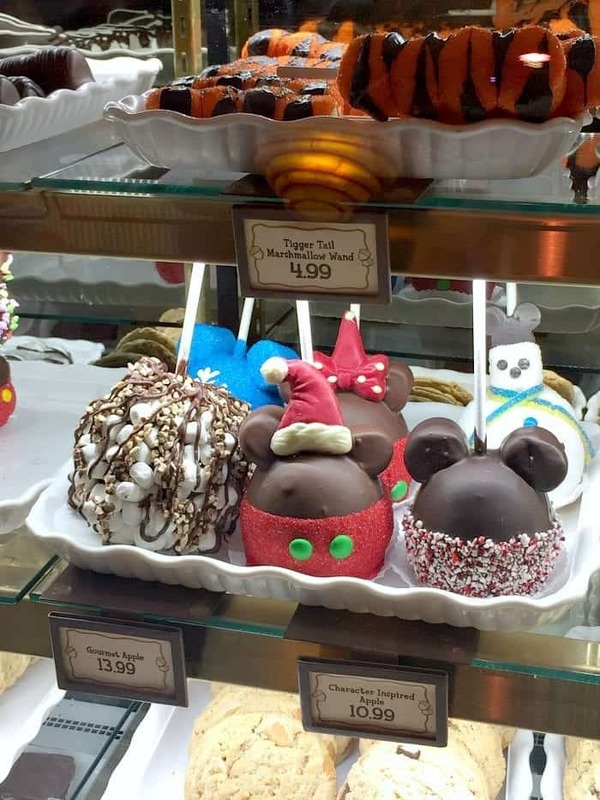 Another fun find at Jolly Holiday Bakery Cafe on Main Street U.S.A.
Pooh Corner in Critter Country always has the best Candy Apples, cookies and bakery goodies. They’re a must visit! Mr. Gingerbread Man couldn’t handle the heat last week…it was almost 90 degrees. He was melting during his photo shoot, but totally delicious!! 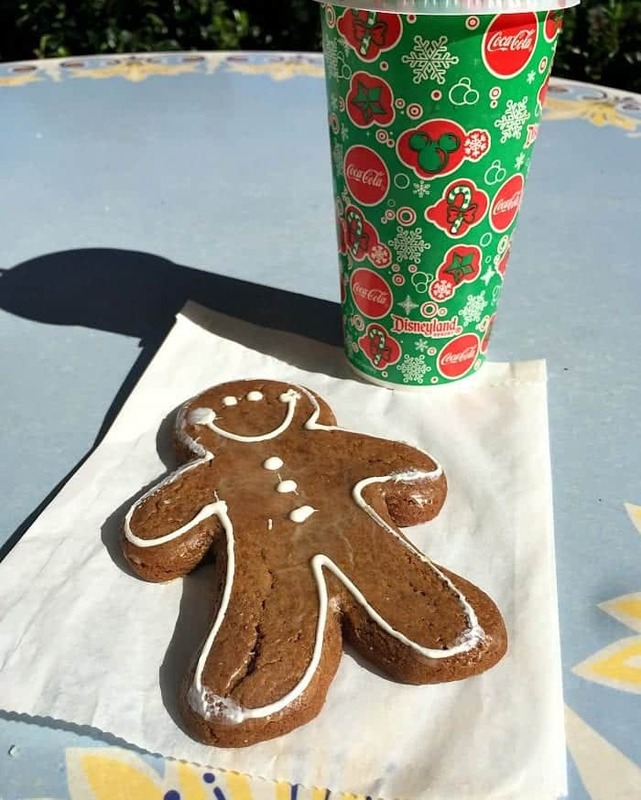 Soft and perfectly gingerbread flavored. 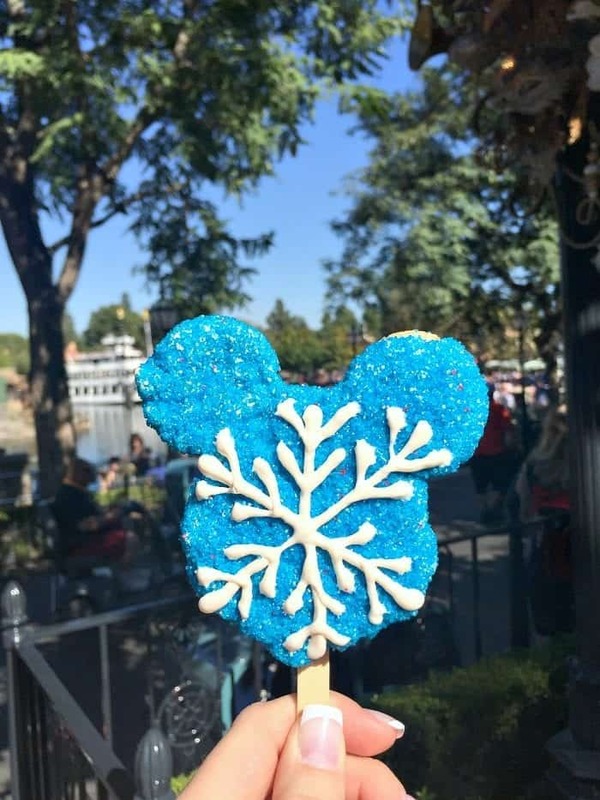 Another adorable Crispy Treat option is the Mickey Ear Snowflake available at Candy Palace on Main Street U.S.A. 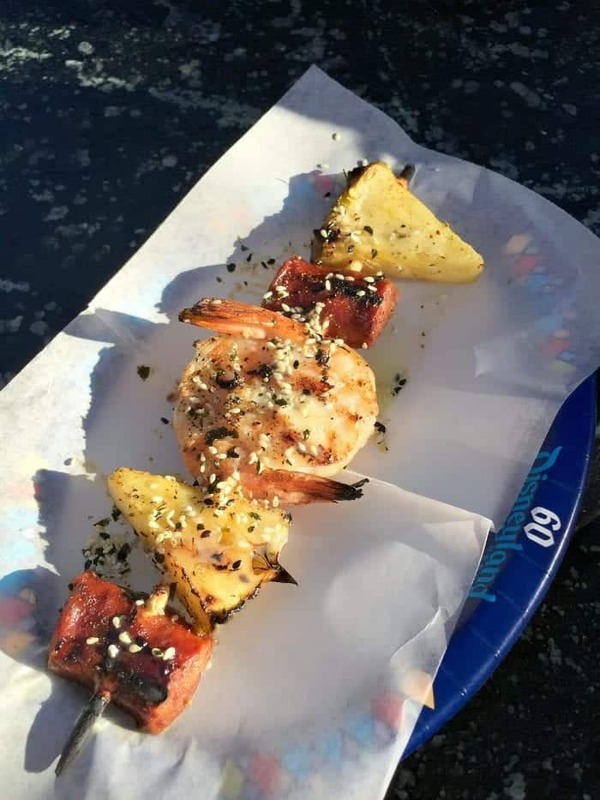 While not a “treat” per se, Bengal BBQ also has this Grilled Shrimp, Sausage and Pineapple Skewer. It was fantastic! Highly recommend checking it out. More like a snack, since you’d need a couple if you’re having for lunch. We are big fans of Bengal BBQ. 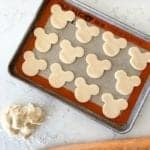 How can you pass up a Snowman Shortbread Cookie? I couldn’t and he was perfectly delish! 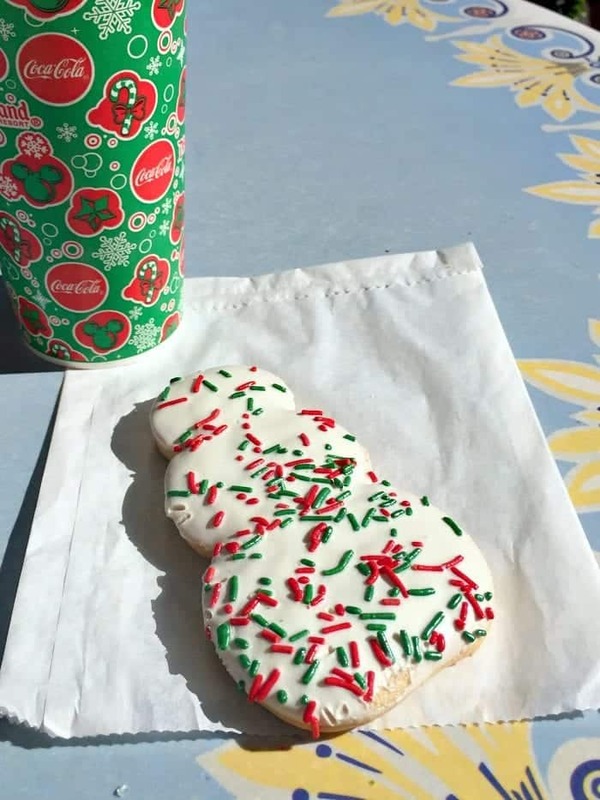 Find him at Jolly Holiday Bakery Cafe on Main Street U.S.A. 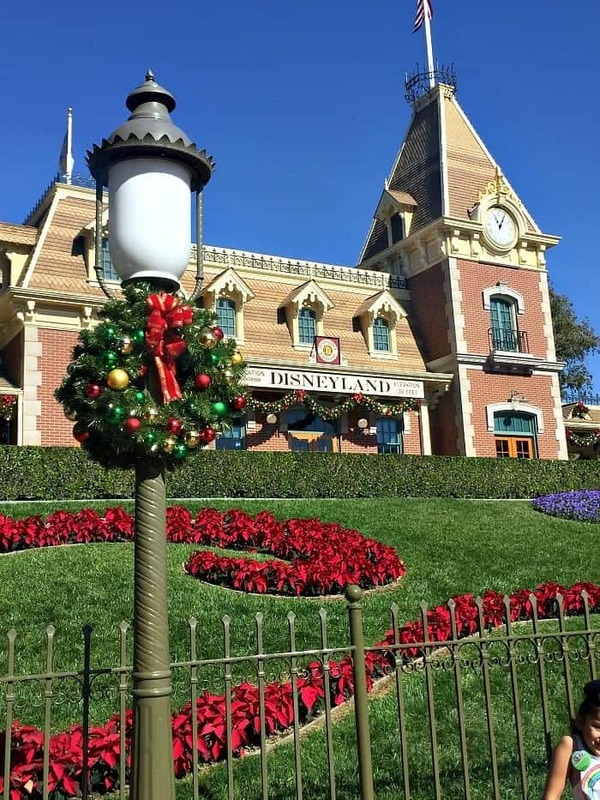 Visiting Disneyland Park during Christmas is so magical. Hope you’ve enjoyed my favorite treats! 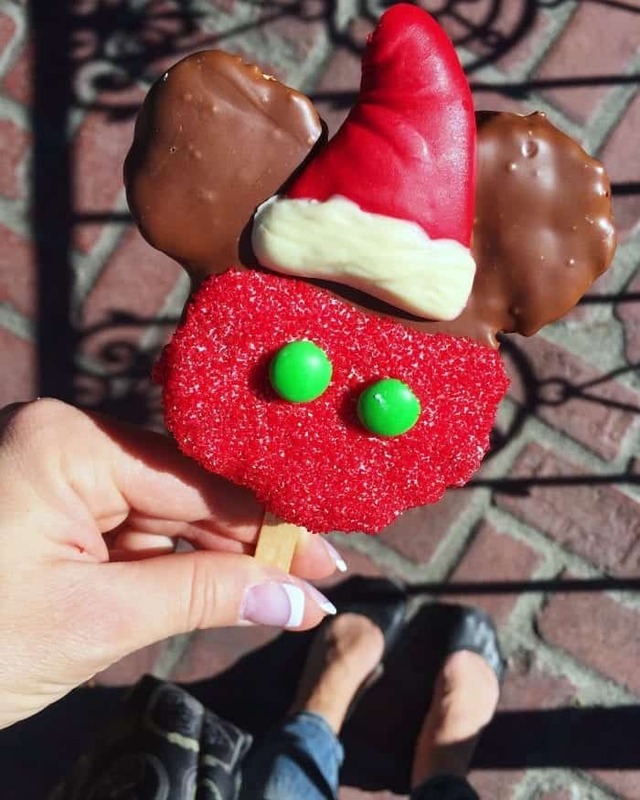 See Disney Parks Blog for full list of Disneyland Resort Holiday treats! 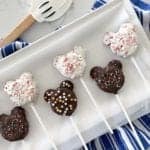 There are so many cute treats for Christmas time! I didn’t have a chance to check out Jolly Holiday, next time! Love your breakdown of treats!